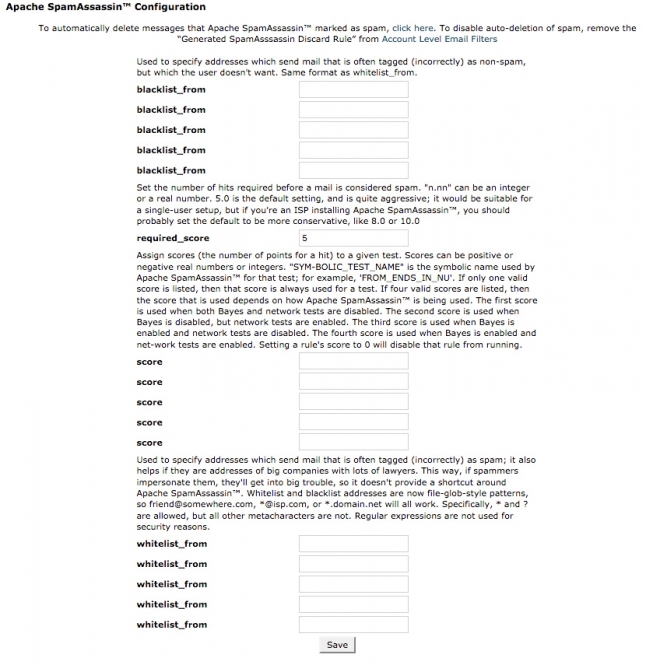 Apache SpamAssassin is an automated mail filter that uses a wide range of heuristic algorithms on mail headers and message body text to identify “SPAM” (unsolicited email). Its performance depends on the individual configuration, which can be tuned by each website owner. Once identified, the mail is tagged as “SPAM” for later filtering using the user’s desktop mail client. 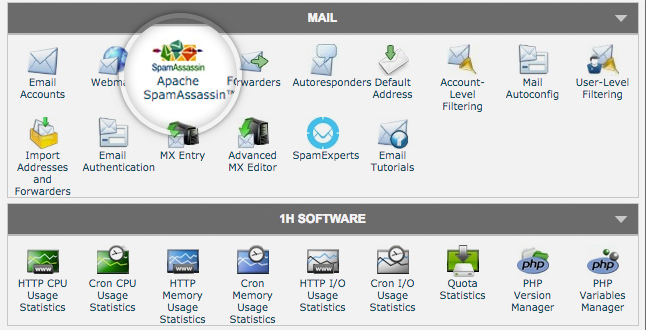 To access the Apache SpamAssassin tool, click on the Apache SpamAssassin icon on the main screen of your cPanel interface. To enable Apache SpamAssassin, click on the Enable Apache SpamAssassin button. To disable Spam Box, click on the Disable Spam Box button. To see the additional SpamAssassin settings, click on Configure Apache SpamAssassin.